Kanban Signs offers a comprehensive range of outdoor and exterior signs to address all needs and preferences. Our range of products includes storefront signs, outdoor banners, real estate signs, lighted signs, outdoor digital signs, as well as awning and yard signs. Ensure the continuing promotion of your business with eye-catching high-quality outdoor signs from Kanban Signs. 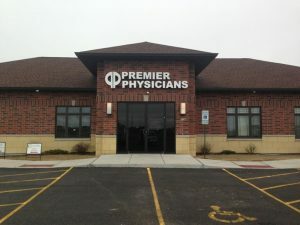 Outdoor signage is highly important for any business as these are the ones most frequently seen by potential customers. Having the right exterior signage for your business can undoubtedly raise awareness of your organization and make it easy for customers to find your location. With a wide range of styles and customizations, Kanban Signs will create the perfect, impactful, and eye-catching outdoor signs to support your business and promote your brand! Call Kanban Signs at (619) 503-3634 for a Free Consultation with an Outdoor Sign Expert! Imagine a store without a storefront sign. Would you feel comfortable venturing inside an unmarked building, unaware of what awaits you? Storefront signs not only help customers locate your facility, they also inform new potential customers of the existence of your business. 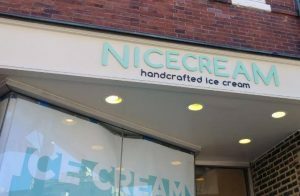 Impactful business signage is still the #1 reason people stop into a business they have never visited before, meaning that your investment in a high-quality and appealing storefront sign is money well spent. We offer high-quality products for all your storefront and building sign needs. Worried about your budget? We have various affordable options without compromising on quality. Your storefront is the face of your business, so make sure you have something presentable, eye-catching, and durable to represent your brand. 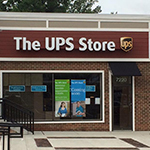 One of our most popular storefront signage products at Kanban Signs are channel letters and dimensional letters. These consists of letters, numbers, or symbols individually crafted and aligned on the facade of a building or a wall to spell out the name of an establishment. These can also include images, such as your logo. Channel letters utilize a metal frame with a transparent film face, while dimensional letters are cut from a solid sheet of metal or acrylic. 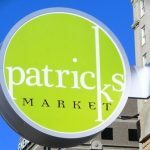 The versatility and level of customization these signs provide make them a popular choice for many different business types. 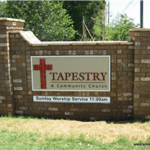 Channel letters are ideal for office buildings, stores, shopping centers, places of worship, schools, institutions, community organizations, and government agencies. 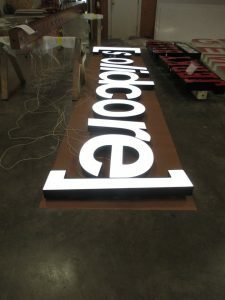 If you want your signs to be visible in the dark, consider lighted exterior signs. Kanban Signs offers a wide array of lighted sign options, including illuminated channel letters, backlit dimensional letters, LED signs, digital signs, and cabinet signs. Our reliable contractors will install the lighted exterior signage you choose securely so your business name remains visible and proudly displayed any time of the day or night. 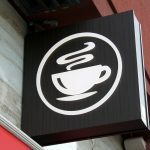 Lighted signs are great for businesses that keep late hours including restaurants, nightclubs, bars, comedy clubs, cafes, gas stations, coffee shops, and convenience stores. 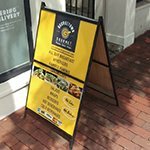 Awning signs are a unique way to promote your brand while also providing protection from the elements to your storefront and guests. 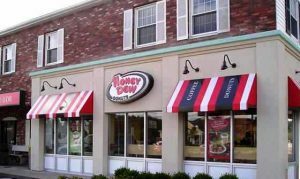 Kanban Signs provides a wide array of options for canopy signs, including many different weights, finishes, and colors for the awning itself, and complete customization of the printing. 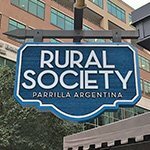 These eye-catching signage elements can serve as your main storefront sign, or can provide additional information or supportive branding elements. 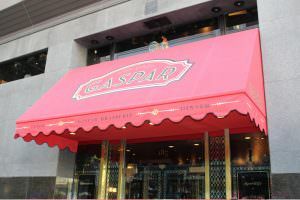 Canopy and awning signs are a great choice for specialty shops, restaurants, hotels, valet stations, galleries, and salons. No, these are not signs that feature sculptures of historical figures bearing business names—although we can commission the creation of one if it’s what you like to have. 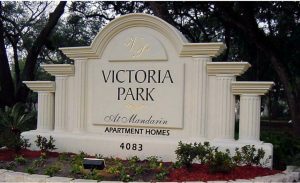 Monument signs are durable, permanent structures that bear a business name and logo along with related details or texts. 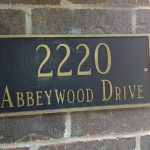 Freestanding and long-lasting, monument signs can be made of marble, stone, brick, or other solid materials, or can be etched/sandblasted for an impressive finish for smaller budgets. Monument signs are usually erected in front of colleges or universities, places of worship, resorts, corporation headquarters, factories or manufacturing facilities, and private clubs. 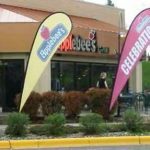 As the name suggests, pole signs are signs on tall poles that allow you to take your business promotion to another level. 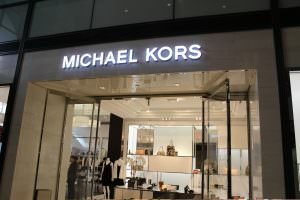 They are used to bring attention to a business or group of businesses, often for those who do not have road frontage, such as a shopping center or business park. 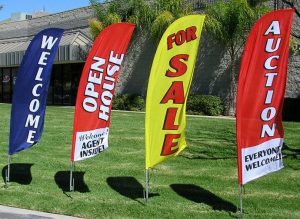 Pole signs are typically found in commercial areas and near major roadways, serving to let passing travelers know that they are there and ready to assist them. As such, they need to be attention-grabbing and durable. Pylon signs are very much similar to pole signs except that they are attached to pylons or steel towers, providing additional support and may feature the names of tenants within a complex. 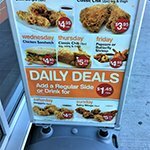 Pole and pylon signs are often used as part of the promotion efforts of shopping centers, fast food dining places, convenience stores, and gas stations. 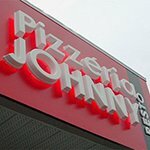 Whatever type of exterior signage it is you need, we have the high-quality solutions you are looking for. Kanban Signs provides more than just simple exterior signage products; we bring our expertise and years of experience in creating the right exterior and outdoor signs for the businesses of San Diego. Whatever your business promotion needs may be, Kanban Signs can help to identify, design, produce, and install the attractive and eye-catching signs you need to generate more traffic for your business or event. We are always eager to provide the signage your business needs. Our team of experienced and highly proficient staff is ready to provide assistance in choosing, designing, fabricating, and installing the right outdoor signs, indoor signs, vinyl signs, vehicle wraps, and custom signs you need to promote your brand and gain exposure for your business. Kanban Signs is your one-stop shop for exterior and outdoor signs in San Diego. We provide a comprehensive range of outdoor signs along with related services including installation, repair, and maintenance. As a full-service San Diego sign company, we are confident we understand the outdoor signage scene of San Diego, allowing us to create impactful signs that get attention for your business and brand. We will closely work with you in creating the signage concept and design to ensure your full satisfaction. Our designers will conceptualize an outdoor sign for your business that is truly attractive, professional-looking, and impactful (marketing-wise) after discussing your goals, preferences, and expectations. All of our outdoor sign projects are managed on-site at our sign manufacturing facility in San Diego with a focus on environmentally friendly production processes and material use. We handle everything from design to fabrication, installation, and even repair and maintenance, ensuring that your sign looks great and in good working order at all times. Your outdoor signs can create a lasting impression on anyone who passes by or considers entering your business. Impactful, eye-catching signs that are brand cohesive, tastefully designed, and expertly produced and installed put your business in the best possible light. Kanban Signs looks forward to becoming your single signage provider for all of your business signage needs! Call Kanban Signs today at (619) 503-3634 for a Free Consultation with an Outdoor Signs Specialist!